Don’t you want to start the holiday season-spring or school year with your cleanest kitchen? 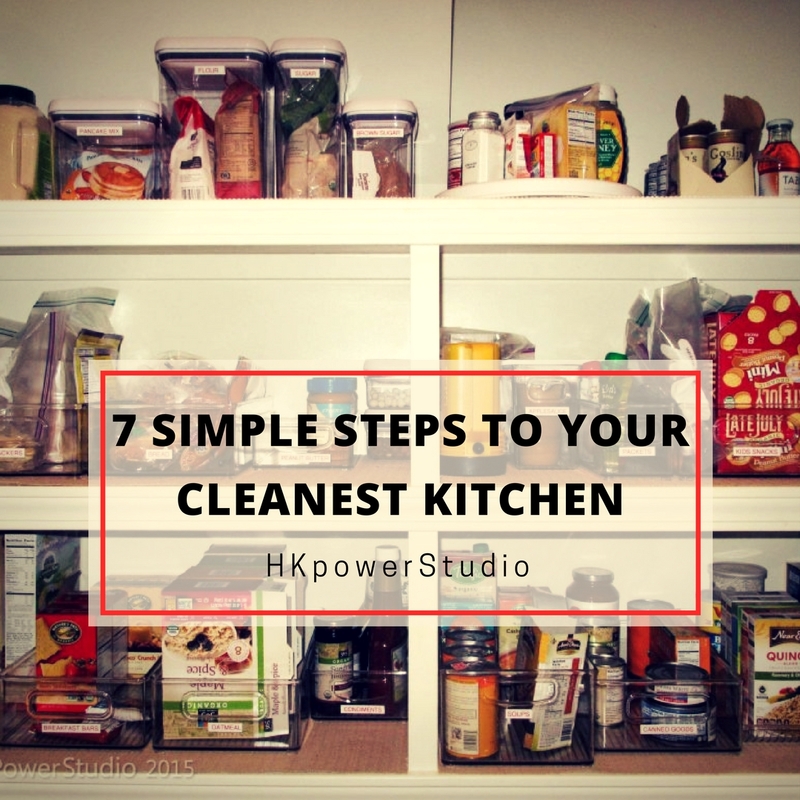 This time of year is a great time to deep clean the kitchen and fridge, especially after summer trips to the farmers market and before all your holiday cooking, baking and entertaining…when everyone lands in the kitchen, right?! BUT, if your reading this is the Spring or before Back to School…any time is a good time to take a deep dive for your cleanest kitchen. I recommend it at least a couple times a year. Re-arrange as needed for things that might not be working well in their current spots-I just moved appliance I don’t need further out of the way and made baking items more accessible over the weekend. Purge– including out of date food (toss), things you don’t like (give away) things like plastic ups, containers-missing lids (recycle) and cozies that somehow made their way home from summer festivities. No thank you Freebies! Tidy and sort food and other items by category. Add containers to corral and labels to identify items as needed. Post purge is the best time to do this! Give everything a sanitizing wipe down including the cabinets, switch plates, counters-moving everything out from the walls and wiping the backsplash. Clean out appliances such as the microwave, oven, toaster and make note of anything broken or missing that I might want to add to a wish list. Take a quick look through the pantry and make a list of staple items needed for upcoming baking and cooking (sugar, flour, chocolate chips, spices, herbs etc), this way you can be spontaneous when the urge to get creative in the kitchen strikes! Finally, the Fridge! Remove and wipe or rinse everything including contents, the shelves, and drawers. Toss expired food. If you can, remove the “parts”, clean with your favorite kitchen cleaner and scrub the crevices with an old toothbrush and baking soda. Repeat the process for the freezer, defrosting according to your manufacturer instructions if needed. If you have a water filter built in, it’s a great time to check and replace that too. You can take each step above and break it down over a weekend or a whole week (7 steps-7 days!) depending on how much time you have. As I do this, I pull things out and try to use up leftovers (especially in the freezer) to make room for all the great new food I’ll be preparing and eating over the holiday season. If you ever question keeping or tossing, HERE is a great list of food expiration etc. follows. Safety and common sense should prevail…BUT I will say that in the age of “toss it” mentality there are probably lots of things you-should-never-have-bought AND may not need to go but I’ll bet some are on this list. Use your judgment, and follow your intuition…and FYI-Sugar never expires! And did you know, today, November 15th is National Clean out your Fridge day? Crazy, right? There’s a “Day” for that too…Happy pre-holiday cleaning!